How Do I Choose the Best Business Ideas for Women? Having a business plan to present to investors or banks is important when starting company. 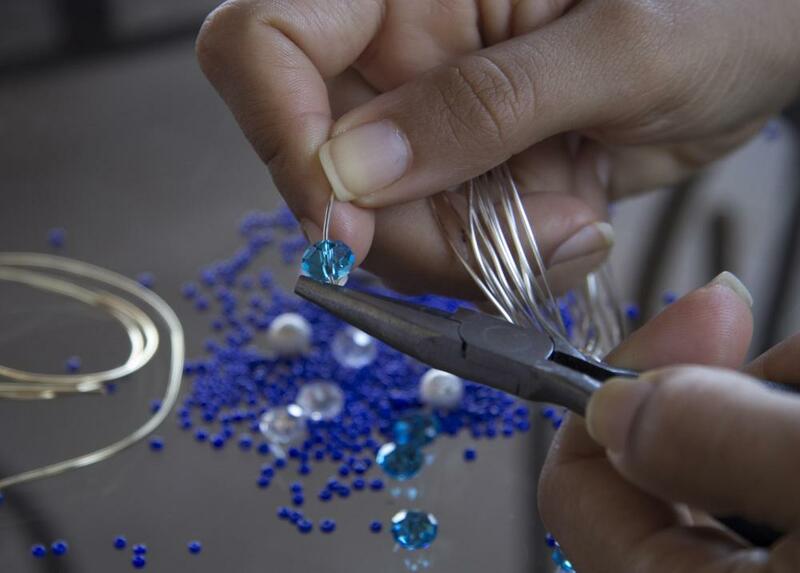 A small business can grow from a hobby such as jewelry making. It is important to perform extensive research when choosing the best business ideas for women, as there are always new opportunities available. First you should determine your financial situation before developing a workable business plan. There are also many financial resources advice targeted specifically to women who wish to start their own business. It is important to start with something that you know, or find a reliable source of business ideas for women before undertaking this venture. Performing a needs assessment of the area that you plan to do business can be helpful to determine what types of goods or services are needed in the area. This can be done informally by talking to a variety of local people about business ideas. If you wish to start an online business, you can look at niche areas that do not have a lot of existing businesses in that area already. This can be a good start if you do not have a firm idea of what type of business you would like to begin. Look at the areas in which you have talent, which can offer you a good starting point. Whether you are good at baking or accounting, your natural interests and abilities can sometimes offer the best business ideas that are more likely to be successful. Passion is extremely important when starting a business, so you want it to be something that you will enjoy putting long hours into. When you have a firm idea in mind, it is important to create a business plan to present to potential investors or banks that may provide financial backing for your new venture. Business plans present an idea of what goods or services will be available, who the target consumer will be, and project both income and expenses. Sample business plans are widely available on the Internet, and are sometimes available through local small business associations as well. A business plan can help you see whether the idea you propose has merit, or if the best business ideas for women may lie elsewhere. Some areas have governmental agencies devoted to the promotion of small businesses, many of which may help determine the best business ideas for women. They may offer workshops for developing business plans, tapping financial resources, or offer other ideas on how to market your business and make it a success. They may also be able to guide you through the laws in your area to make sure that your business idea is legal. Consider franchises as a group of reliable business ideas for women. Look at the cost of start up, and the amount that you can afford. This is a viable way to start a business in which most of the initial work has already been done, though you are the owner. This can be a good business idea for women who do not have a lot of time to create something completely from the ground up. How Do I Choose the Best Small Business Workshops? How Do I Choose the Best Small Online Business Ideas? How Do I Choose the Best Sources of Business Ideas? What Are the Different Types of Home-Based Business Ideas for Women? How Do I Choose the Best Recession Business Ideas? How Do I Choose the Best Business Ideas for Men?